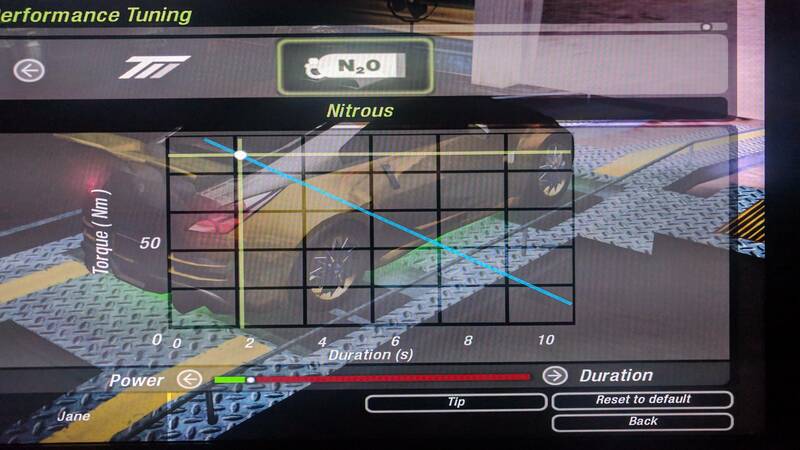 Hello guys, I want to share with you the idea to create a conversion from GTA to NFS gamestyle along with drags, sprints, circuits, pursuits, canyon duels (everything from NFS:U1 to NFS:Carbon), with cutscenes, storyline (maybe at last) and customization. 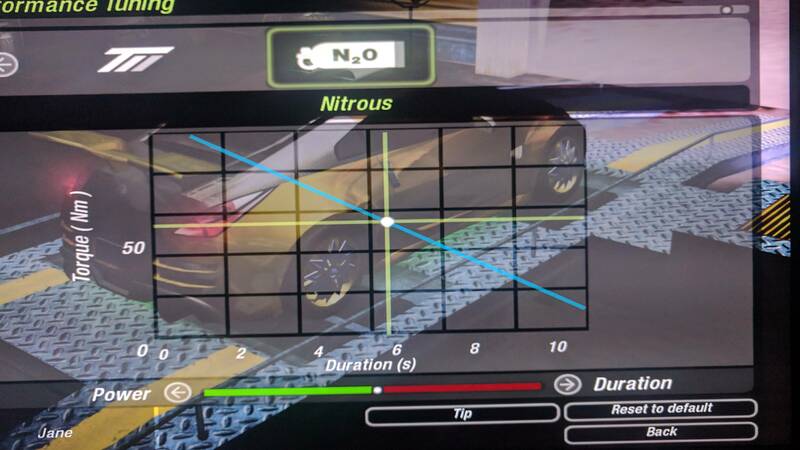 I saw someone did a NFS:SA total conversion and I asked him how he did that, he answered "it's a HLSL" (High Level Shader Language) that he used and triggered when the nos is being used. So I start asking for your help on doing this kind of effect! 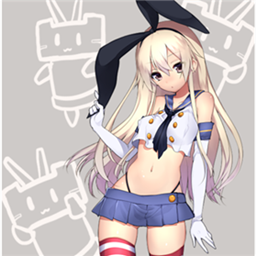 Ps: this is a wip and a request at the same time, I don't know where to post it so I found this category to be the one describing it at all. Can someone help me on the gui problem, patching the automatic shift down and why I can't disable Left/Right vehicle controls? (VehicleMoveLeftOnly/RightOnly) Thanks! Hello, great to see progress in the works. Personally, I do not like this screen effect when using nitro .. I hope you have the ability to enable / disable. I do not like it because it brightens the image and causes blinking ... in NFS the image was only slightly blurry and did not blink and did not brighten the screen. From what I noticed, add a light effect from the rear of the car lamp. Cool! Is it possible to increase / strengthen / enlarge / extend the effect of the rear lights? If so it would be cool. There is also the issue of long fire from the exhaust pipes, it was good to shorten from 3/3 to 1/3 length. I asked help to the creator of NFS:SA on how to use the HLSL, but probably he wont help me, someone knows how to work with HLSL? In my opinion, the LeeC2202 that made the modification of Ground Vehicle Effects for GTA V will have such skills. Maybe you can help? @lorizz12 For the boost recovery, maybe integrate it with the Stunt Bonus V @kagikn as collaboration, since it would be cool to refill boost bar based on stunts and the rating of the stunt like in some NFS games. also as @chang63 said, any collaboration is fine! 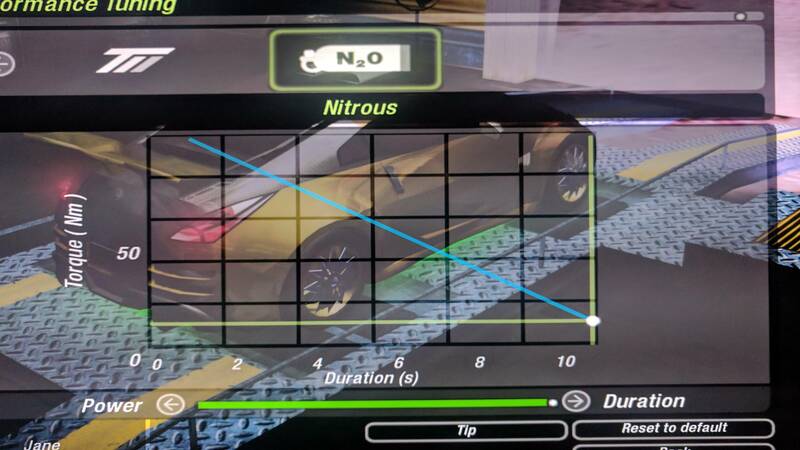 Staged nitro next for V5, compatible also with ikt speedometer! 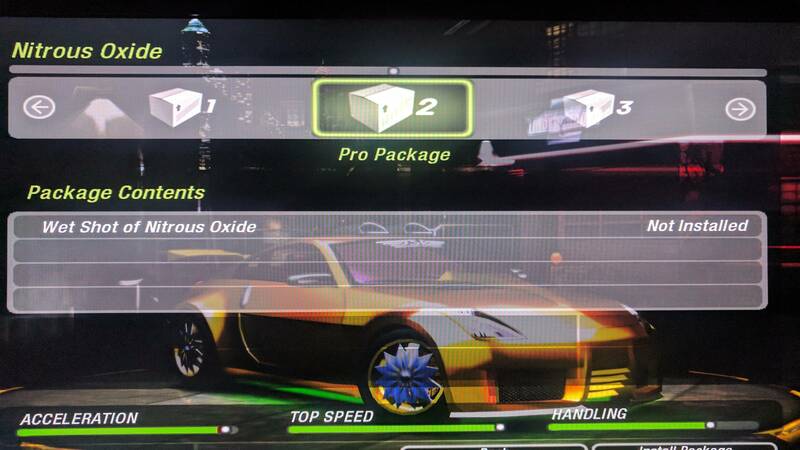 Hello, the NFS Underground 2 was so that there were 3 steps and the Nitro Packages. Nitro Stage 1 = The cheapest first level to buy in a store. Nitro Stage 2 = The second medium level to buy in the store. Nitro Stage 3 = The third final level to buy in the shop. In addition, it is possible to set the nitro power separately. Highest power = shortest running nitro with high power. The longest running time of nitro = nitro works gently, but for a long time. 50/50 = Nitro works between maximum power and between the shortest / longest nitro times. 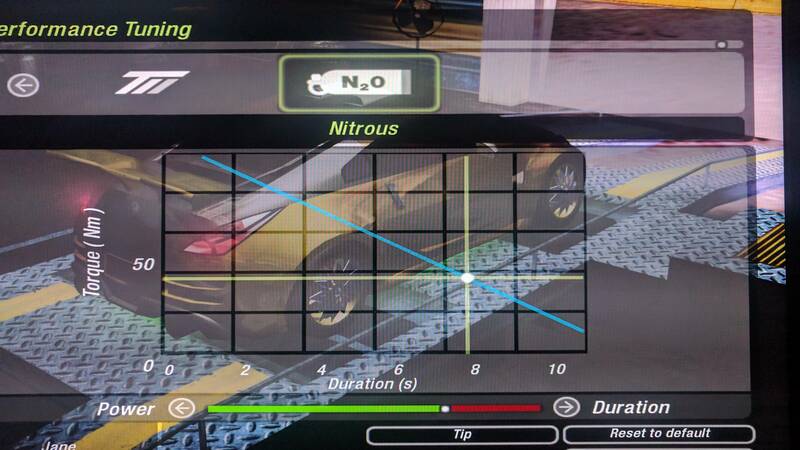 Then the longest nitro on Nitro Stage 1 will last for 4 seconds, and Nitro Stage 3 will last 10 seconds. 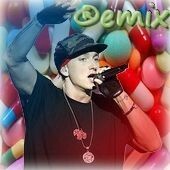 Is it possible to do it and if my tips are understood for you?